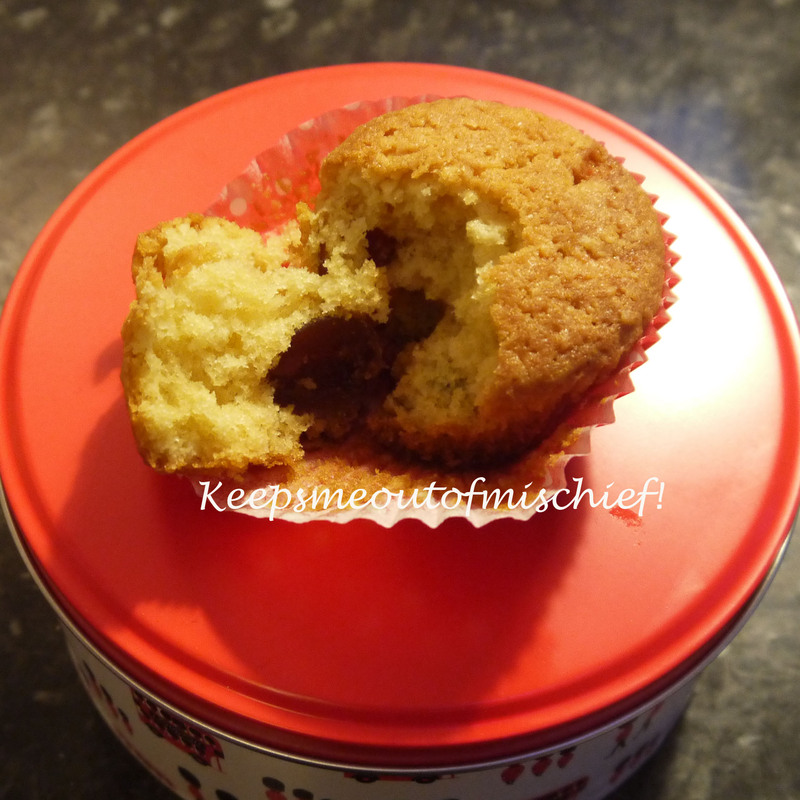 Coconut and Cherry Cupcakes | Keeps Me Out Of Mischief! I’m a great fan of spending the whole afternoon in the kitchen, and with Baby B and his Daddy snoozing in front of the TV, the opportunity to spend a Sunday afternoon pottering in the kitchen was a dream come true! I like it when you find a few recipes that will all go in the oven at the same temperature so that you’re not having to wait for something to finish before you start the next one. These coconut and cherry cupcakes were cooked on the same afternoon as my Gingerbread cake. The relatively slow cooking time for a cupcake means they rise beautifully and are wonderfully soft and fluffy. They’re also a great cake if you’re a fan of ‘chuck it all in a bowl and watch the magic happen’ type cooking as that’s precisely the instructions! Lovely and quick! 200g self raising flour, 1/2 tsp baking powder, 175g granulated sugar, 50g desiccated coconut, 175g margarine, 150g halved glace cherries and 3 medium eggs, beaten. Preheat the oven to 150°C/ 300°F. Line a 12 deep muffin tray with paper cases. Chuck all of the ingredients in a large bowl, mix well, place in cases. Put in the oven for 40 minutes or until the cakes rise and a skewer inserted in the middle comes out clean. sounds like a productive baking day! the cupcake looks delish.